That's what I need to make. I haven't been cooking anything other than frozen pizzas and pasta since we got back from the beach, but the oppressively hot and muggy weather definitely has me thinking how great a cold soup would be. 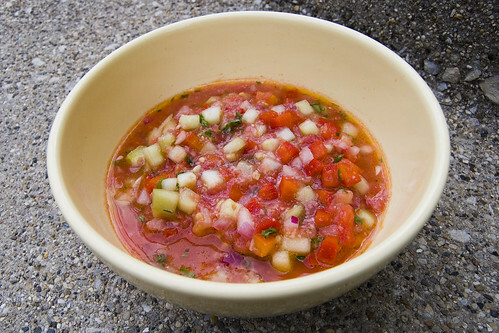 I think Anna is tired of the chipotle/lime one we've made a few times... maybe a white gazpacho?